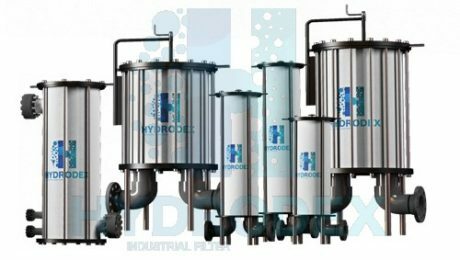 Hydrodex future-proof premium line of FRP cartridge filter housing are made of the industry’s top-rated materials for a maintenance free, rigid and durable product. composite material. • Long, effective service life. • No need for expensive cathodic protection. painting, or use of polyethylene wraps. and 1/10 of concrete pipe. • Easy to install. • Low delivery and shipping costs. No need for expensive handling equipment. Extremely smooth bore. • Low friction loss means less pumping energy needed. Hydrodex FRP cartridge filter housing also meet the world’s most renowned codes and standards. Unsaturated Polyester Resin (UP) – Specifications for Pipes, Fittings and Joints. ASME Section X ASME’s Boiler and Pressure Vessel Code (BPVC) for Fiber-Reinforced Pressure Vessels. Code of Federal Regulations Title 21 for Water Filters.